What sets our concealed weapons class in Miami apart? What about our concealed weapons class in Miami makes us a better choice for your firearm training? Us going the extra mile and doing things right is what sets us apart from everyone else offering a concealed weapons class in Miami. 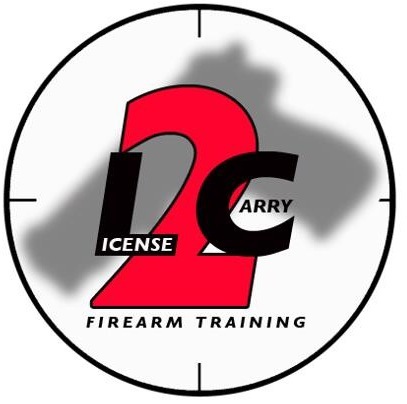 License2carry firearm training was established in 2008 to offer the utmost in professional firearm training. We offer firearm training the novice and advanced shooters as well as advanced training for professional industry personnel. We are professionals who perform our jobs with the utmost integrity and professionalism. Our expertise is firearm training it is what we dedicate 100% of the time to. We personally, continually undergo firearm training ourselves to keep up to date on industry training practices and standards. This is why we can truly offer our students the best possible firearm training available. We offer very small class sizes everyday, typically consisting of 6 students at a time. Our small class size assures each student receives personal attention and is able to interact and get hands on training. Approximately 90% of our concealed weapons permit students have never handled a firearm. No matter your firearm experience, we take an entry level approach and progressively work our way up to ensure our students walk away as knowledgeable, confident and capable firearm owners. With our concealed weapons class in Miami, even students with previous and advanced firearm experience are guaranteed to acquire skills. Our concealed weapons permit class surpasses the state concealed weapon permit training requirement. We have certified thousands of students for concealed weapon permits since opening our doors. All, who’ve completed our concealed weapons permit class, have referred many friends, family members and co-workers. Referrals are the best compliments we can receive, they let us know our students had a great experience and were so confident with our class to refer others to us. What else sets our concealed weapons class in Miami apart? Florida statute 790.06 mandates, “The firearms instructor aside from conducting the CCW firearm training class in person, also must maintain training records and witness all students safely discharge a firearm in his presence”. Be weary of firearm training schools that do not require a certified firearms instructors presence. There are some firearm training schools in where students are only shown a short training video or the class is conducted by an unqualified shop employee who is not certified to do so. Very often, such schools do not require a state mandated FIREARM QUALIFICATION in the a gun range with live ammunition. Our firearms instructor is certified to conduct the Florida concealed weapons permit class. Our firearms instructor is also certified to conduct defensive handgun, defensive shotgun and defensive rifle training classes. We have an actual dedicated bricks and mortar establishment where we conduct our concealed weapons class in Miami everyday. We’re also certified, licensed and insured for your protection. Contact us today to purchase a gift certificate.